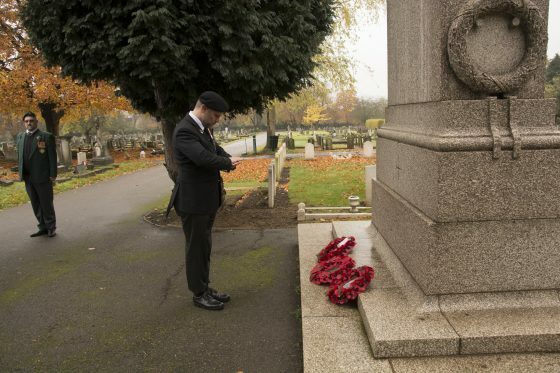 RICHMOND – 11h00 on 11 November 1918 marked the end of hostilities as the guns fell silent in terms of the armistice that ended the First World War. 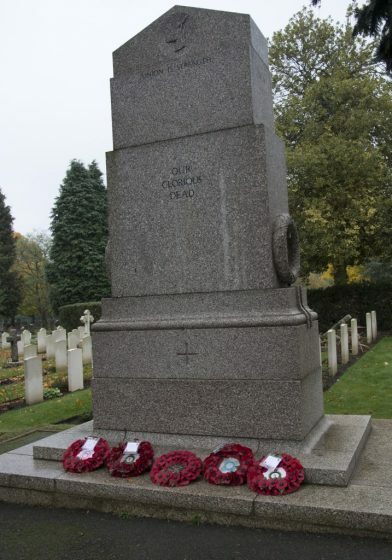 The cream of the world’s young men, and many women, lay buried under, wounded by, or just scattered over battlefields across the globe in what was truly the First World War. 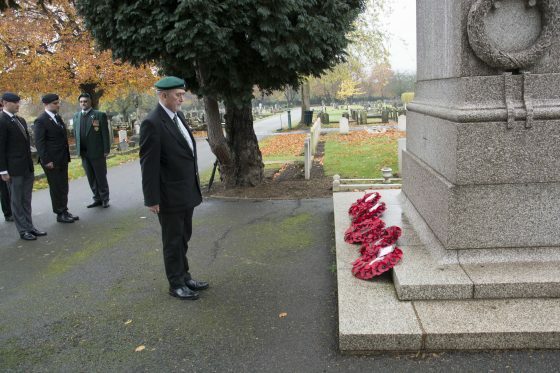 Ever since, Two Minutes’ Silence has been observed across Britain and her Commonwealth at the eleventh hour of the eleventh day of the eleventh month; a tradition with its roots in South Africa. 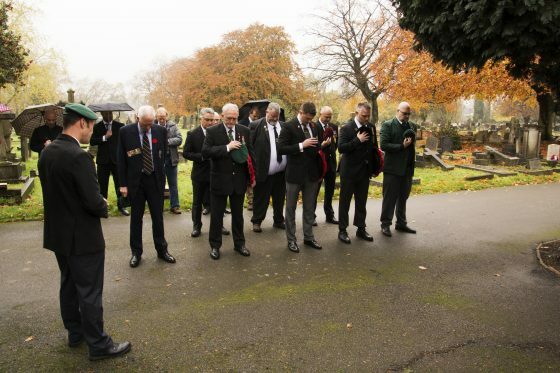 On Saturday 11 November 2017, at 10h30, members of the South African Legion UK & Europe and representatives of other South African veterans’ organisations including the MOTHs (Gazala Shellhole), as well as representatives of South Africa Lodge No 6742 (Metropolitan Grand Lodge) gathered with friends and supporters at the South African Memorial Cenotaph at the Commonwealth War Graves Commission section of Richmond Cemetery in London to mark 99 years since the cessation of hostilities, and to honour the South African fallen. The morning started with a characteristic London drizzle, which obligingly cleared for the ceremony. 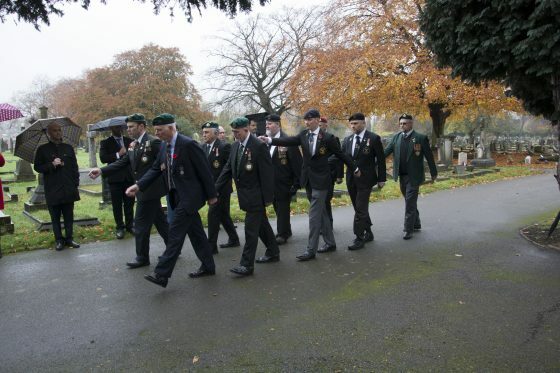 By chance, a senior veteran of the Royal Marines, bound for another remembrance ceremony he couldn’t find, homed-in on the green SA Legion berets and joined us. 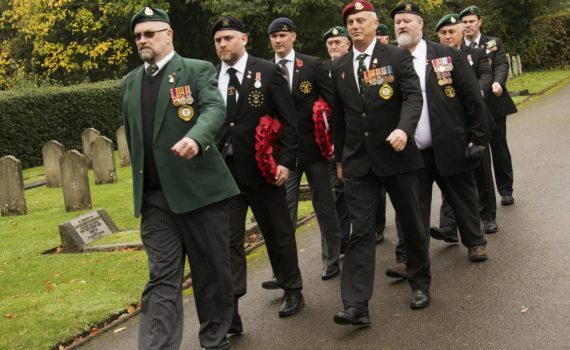 As civilian guests gathered around the Cenotaph, a Guard of Honour of veterans formed-up and just before 11h00, marched past South African war graves from both World Wars to halt, pay respects, and lay wreaths at the South African Cenotaph. Lgr. Craig Esterhuizen led all present in a moment of solemn contemplation and poignant prayer. 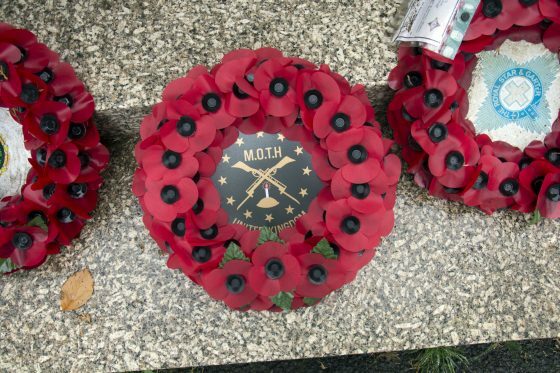 Following the observance of Two Minutes’ Silence, the first wreath was laid on behalf of Gazala Shellhole by MOTH Shaun Kennedy. 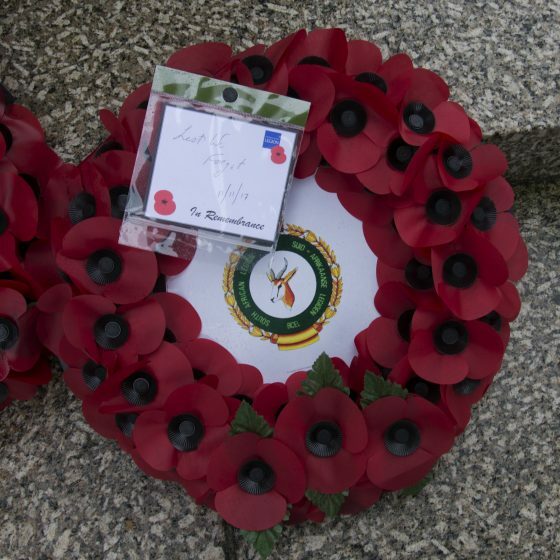 The next wreath was laid by veteran, MOTH and Brother Neil Purdon, on behalf of the contingent from South Africa Lodge. 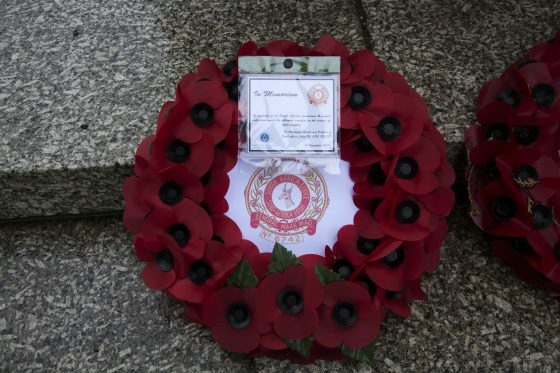 Finally, a wreath was laid by Lgr. 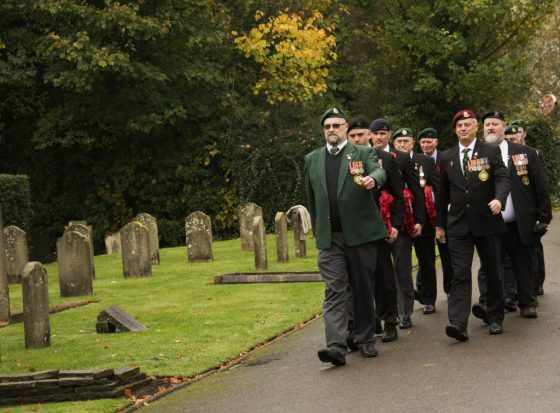 Neil Taylor on behalf of the South African Legion (UK and Europe Branch). 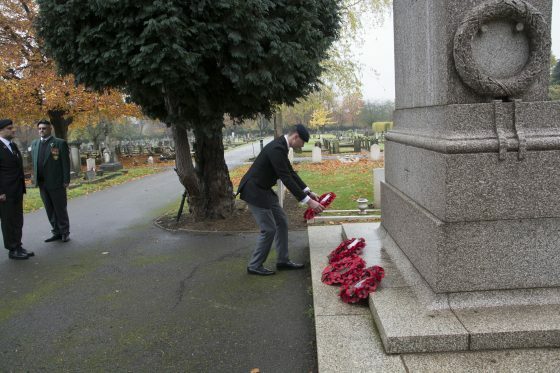 The wreaths joined those laid on September 23 to commemorate the Battle of Square Hill. Following the ceremony, participants moved to the ancient White Cross pub on the banks of the Thames. There we raised a glass ‘to the fallen’.